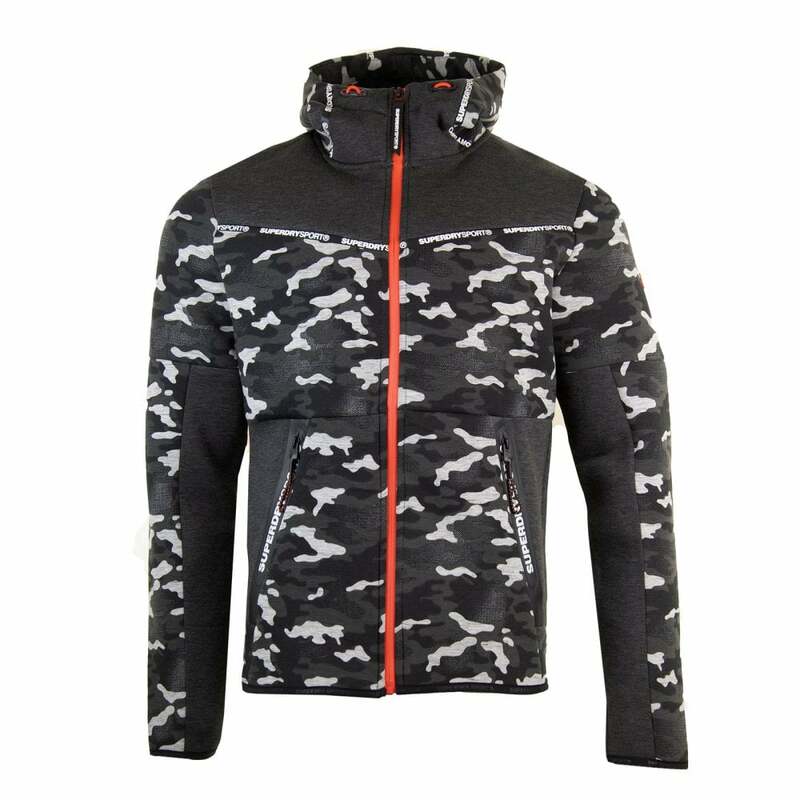 This Superdry Gym Tech Stretch Camo Zip Hoodie is a polyester, viscose and elastane blend and has a grey and black camouflage pattern main body, with plain grey block panels. It is hooded with an elasticated toggle drawstring at the neck and has two zip pockets at the front with Superdry Sport branding. It has a full zip fastening and long sleeves. Superdry branding appears across the chest, on the hood, zips and on a badge on the left sleeve.